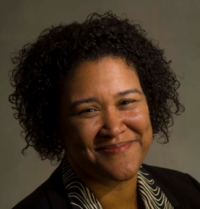 Leslie M. Harris is associate professor of history and African American Studies at Emory University. Her first book, In the Shadow of Slavery: African Americans in New York City, 1626-1863, (University of Chicago Press, 2003), was awarded the 2003 Wesley-Logan Prize for African Diaspora History, American Historical Association and Association for the Study of African-American Life and History, among other honors. She co-edited, with Ira Berlin, Slavery in New York (The New Press, 2005) which accompanied the ground-breaking New-York Historical Society exhibit of the same name. At Emory, Harris has served as chair of the Department of African American Studies. She is also co-founder and director of the Transforming Community Project (http://transform.emory.edu), which uses history to help communities understand the meaning of diversity in their present-day lives. The Transforming Community Project has received two grants from the Ford Foundation's Difficult Dialogues Initiative. Leslie is currently at work on book about late-twentieth century New Orleans.